Grandmaster Peng Youlian has been instrumental in the growth of Tai chi (Taiji) in northern Ontario. He began training in Tai chi at an early age in China, and is a disciple of Grandmaster Chen Zhenglei. 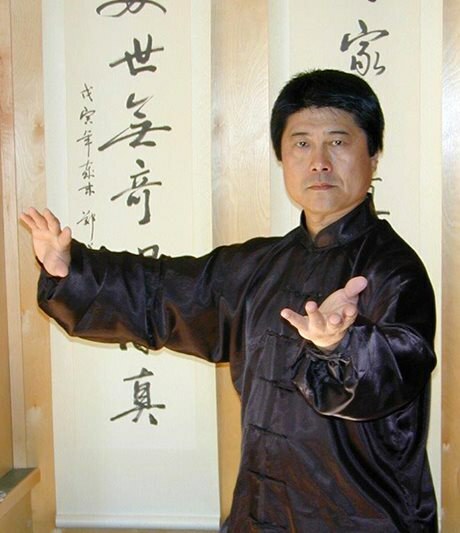 In 1990, after completing a master’s degree in physical education from the Beijing Normal University, Youlian and his wife, Jing Su, emigrated to Canada and began teaching Tai chi in Thunder Bay. The Thunder Bay 55+ Tai Chi Club was formed in 1991. Youlian also created, and is president of, the Peng You Taiji Quan Association, which has the motto of “Health, Friendship and Happiness.” In 2001, under Youlian’s vision, the International Taiji Park opened in Thunder Bay, complete with Ying Tang Pad and Moon Gate to provide visitors with a quiet space to practise among beautiful surroundings. In July 2006, Youlian was the driving force behind the International Taiji Quan Forum in Thunder Bay, which attracted Tai chi masters from around the world. This forum was the first of its kind outside China. Learn more about Youlian on his website. Read more about the 2006 Taiji Quan forum in Thunder Bay from the Thunder Bay Martial Arts Council newsletter (February 2007).